Internet Marketing Service Is Still a Cheap Route to Your Target Market! Why an Internet Marketing Service Is Still the Most Inexpensive Route to Your Target Market! 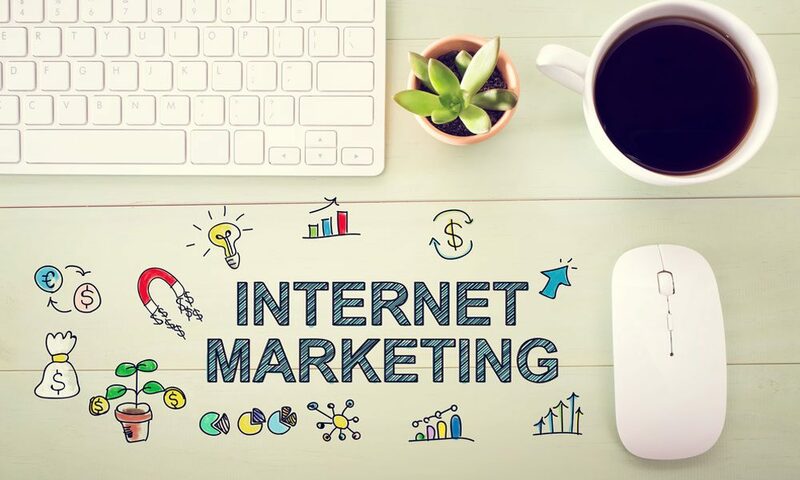 The right Internet marketing service provider should be able to strategically customize a cost-effective digital advertising and marketing campaign plan for your business. This requires them to be capable of delegating expert sales and marketing consultants, advertising advisers, professional creatives and agents. Each team member should have significant expertise in your target niches and also authority knowledge in the industry where your business operates. As a credible Web marketing agency, they should have management and supervisory staff, a tech team, quality assurance professionals, trainers and coaches who can help them effectively handle the digital advertising and marketing team that they’ll delegate to your business. Their staff should also be capable of optimizing the back and front end processes of their workflow systems. After all, a conducive work environment can drastically improve the efficiency and productivity of your team in fulfilling their day-to-day duties and responsibilities for your business. Can the Right Internet Marketing Service Provider Give You the Most Cost-Effective Results? You’ll be able to significantly lower down your overheads when you work with a Web marketing agency. That’s because you won’t need to form your own team of sales and marketing consultants, advertising experts, creatives and agents. You won’t also need to form your own team of managers, supervisors, quality assurance specialists, tech professionals and administrative personnel. You won’t spend time, energy and money in setting up a conducive work environment with the most suitable tools and technologies for your team to effectively perform their daily activities. Neither will you be required to invest in streamlining the back and front end processes of your workflow systems for your marketing team. We aren’t even talking about taxes and employer shares when it comes to insurance policies and the like for your employees. Instead, an Internet marketing service provider can serve as your one-stop solution for all these things. They can delegate a team comprised of their staff with the most suitable expertise and authority knowledge in your target niches and industries. They also know what they’re doing when it comes to assigning the right managers, supervisors, administrative personnel, tech team, quality assurance specialists, trainers and coaches for providing your team with a conducive work environment with streamlined front and back end systems. Digital advertising networks and Web marketing channels are still significantly more inexpensive compared to traditional platforms like television, print and radio. Plus, these modern outlets are now used often by more people all around the world. Testament to this is the rapidly dwindling market shares and viewership rates of many traditional advertising channels and marketing outlets in lots of countries worldwide. Also keep in mind that the recent shift from desktops and laptops to mobile devices and smartphones when accessing the Web is among the biggest technological change that the world has witnessed so far. Up to this day, bigger markets in a variety of countries are using their smartphones and mobile devices more often than any other gadget. They’re mainly using these modern devices to view content, access the Web, communicate with their peers and business contacts, shop from ecommerce portals and make financial transactions each day. The right affiliate marketing campaigns can drastically cut down your advertising costs and marketing expenses. This is primarily done more effectively through the Web. That’s because you’ll be able to efficiently track the performance of your co-marketing partners when it comes to consistently driving highly convertible traffic to your latest offers. You’ll also be able to monitor the commission earnings of each of your affiliates. That’s why the right Internet marketing service provider like TalkingAds Limited should be able to help you develop and sign up a lot of your ideal co-marketing partners as your affiliates. With this system, you won’t need to pay for the traffic that your affiliates drive to your sales content, social media pages, pre-sell materials and ecommerce platform. Instead, you’ll pay a mutually agreed fixed percentage from the total price of each sale that their traffic generates for your business. For example, let’s say you pay 0.50 USD for each click that your ad gets from your PPC (pay per click) advertising campaign in Google’s search and display network. Now say you get 1 sale worth 100 USD out of every 100 clicks that your ad gets. Since you’ll be spending $50 for 100 ad clicks, this leaves you with a 50 USD revenue. Now let’s say you get the same conversion rate out of every 100 unique viewers that your affiliates drive to the same offer. Say you pay 20 USD for each sale that’s referred by your co-marketing partners. This means you’ll get 80 USD revenues out of each sale because you’ll only need to pay 20 USD commissions for the affiliate who was responsible for that sale. So this Internet marketing service should be included in the package offered by your chosen provider. You can greatly save a lot of time and money through this strategy. Plus, you won’t need to develop your own campaigns. You won’t need to perform your own market research and data analytics to regularly update the timely details of your ideal customer profile. You won’t be the one who’ll need to constantly monitor the results of your running campaigns. That’s because your affiliates will do all these things on their own. These are the primary reasons why the right Internet marketing service provider can guide you on the most cost-effective paths to market for your newest offers. To be able to save more time and money, you should keep in mind to carefully choose the most suitable agency for your business. You should also start out with a short term subscription. This way, you won’t spend too much time and money working with the wrong provider. Instead, you can quickly and easily bail out when you notice that they aren’t the best fit to what you really need. You can then move on to the next provider in your shortlist.